Campus Media Group has begun accepting applications for the 2011/2012 College Newspaper PSA Program. Every year, Campus Media selects one nonprofit organization that has an important message to share with college students. We will work to have that organization’s PSA ad placed in some of the nation’s top college and university newspapers free of charge for the 2011-2012 school year. Where available, online ads can also be provided to papers having an online edition. Hundreds of college newspapers throughout the United States participated last year, donating thousands of dollars in free advertising space. Campus Media Group is a college marketing agency that represents more than 1,800 college newspapers nationally. Its extensive experience working to place ads for national brands has given Campus Media the ability to work with student publications to also help non-profit organizations who rely on donated media space. For more information on Campus Media or to obtain more information about the 2010-2011 College Newspaper PSA Program, please contact Jason Bakker at 952-854-3100. Applications are available below or by emailing jason [at] campusmediagroup.com and must be received by August 30, 2011. Bloomington, MN (June 29, 2010) — In its annual effort to provide PSA placement in college newspapers for organizations looking to reach college students, Campus Media Group has begun accepting applications for this year’s College Newspaper PSA Program. Every year, Campus Media selects one nonprofit organization that has an important message to share with college students. Campus Media will work to have that organization’s PSA ad placed in some of the nation’s top college and university newspapers free of charge for the 2010-2011 school year. Hundreds of college newspapers throughout the United States participated last year, giving away more than $100,000 in free advertising. Campus Media is a leading college marketing agency that represents more than 1,800 college newspapers nationally. Its extensive experience working to place ads for national brands has gained the agency solid credibility in college media outlets. “We have great relationships with campus newspapers, and they have always been very generous in providing ad space for our PSA program,” says Joel Eisfelder, Director of Media for Campus Media. In previous years, Campus Media has worked to build awareness for organizations such as: amfAR, The Campus Kitchens Project, the National Council on Problem Gambling, the National Psoriasis Foundation, and the National Students of AMF. For more information on Campus Media or to obtain more information about the 2010-2011 College Newspaper PSA Program, please contact Jason Bakker at 952-854-3100. Applications are available here or by emailing info [at] campusmediagroup.com and must be received by September 17, 2010. Campus Media is proud to announce National Students of AMF (Ailing Mothers, Fathers, or Loved Ones) as the winner of its 2009-2010 PSA competition. Every year Campus Media selects one organization that has an important cause or message to share with students. That organization’s ad will then be placed in some of the nation’s top college newspapers free of charge. This year Campus Media joined forces with TheCampusBuzz.com, a national college newsfeed service, to stream the winner’s message to its 3,000 subscribers. California-based creative agency, Crate, will be producing the creative platform and print ad series for the National Students of AMF’s first PSA advertising campaign. 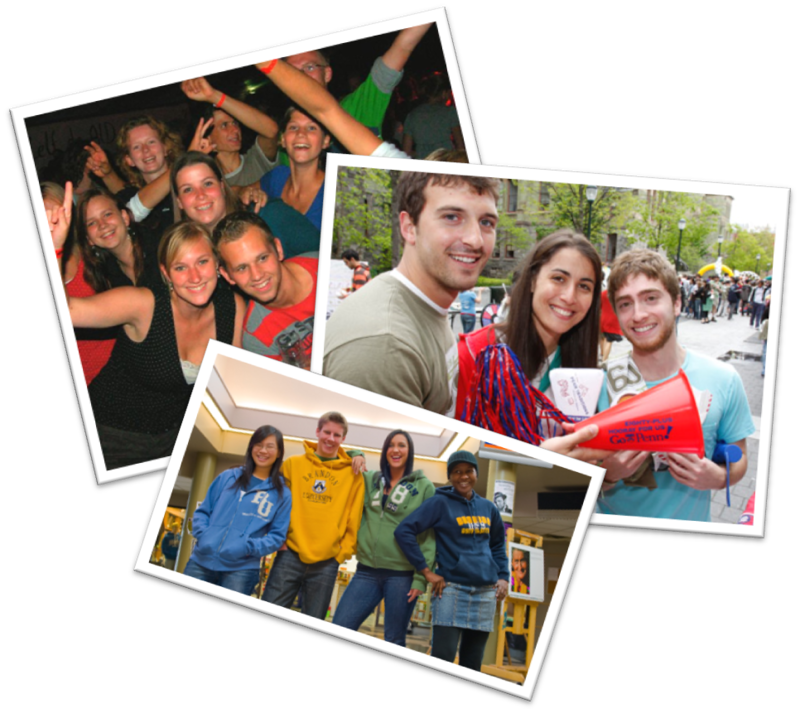 National Students of AMF is dedicated to supporting college students coping with the illness or death of a loved one. Its members accomplish their mission by helping students to start chapters of Students of AMF nationwide. Each chapter includes a peer-led Grief Support Group and various service opportunities. To learn more, visit http://studentsofamf.org. To see their recent visit to the Today Show, click here.